Legal news for product liability attorneys – Jotul North America has issued a recall of its SCA Andersen 10 wood burning stove – poses injury risk to consumers. Doors of wood burning stoves can unhinge and fall, posing injury risks. Washington, DC (www.NewYorkInjuryNews.com) – The U.S. Consumer Product Safety Commission, (CPSC) http://cpsc.gov, announced Thursday, April 22, 2010 a voluntary recall of SCAN Andersen 10 Wood Burning Stoves. 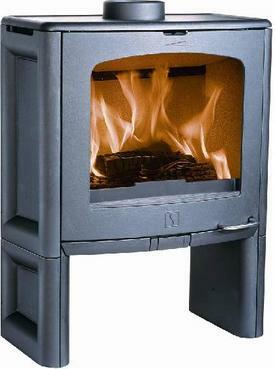 The recall comes with cooperation from the importer Jotul North America, of Gorham, Maine. It is recommended that consumers stop using the recalled product immediately, unless otherwise instructed. The stoves, manufactured by Jøtul AS, of Fredrikstad, Norway, pose a risk of consumer injury. The stove’s door can dislodge and fall from its hinges, according to reports. The recall consists of approximately 200 units. Three incidents of malfunction were reported before the recall, including one situation that lead to a bruised foot. The recalled SCAN Andersen 10 wood burning stoves display serial numbers from 7951 to 8267. The number can be found on a label applied to the back of the stove. The wood stove units are freestanding, black, cast iron stoves with a single front load door with a glass windowpane. Their dimensions measure 35”H x 26 2/8”W x 16”D. The stoves were retailed through dealers and distributors throughout the US and Canada from March, 2009 to February 2010. The CPSC and Jotul North America recommend that consumers contact their dealer for a hinge replacement kit and to arrange for a free professional installation. Additional information can be found through contacting Jotul North America at (800) 797-5912, ext. 108 between the hours of 8 a.m. and 5 p.m. ET Monday through Friday. One can also visit the company’s website at www.jotul.com. Legal News Reporter: Tara Monks – Legal news for product liability attorneys.